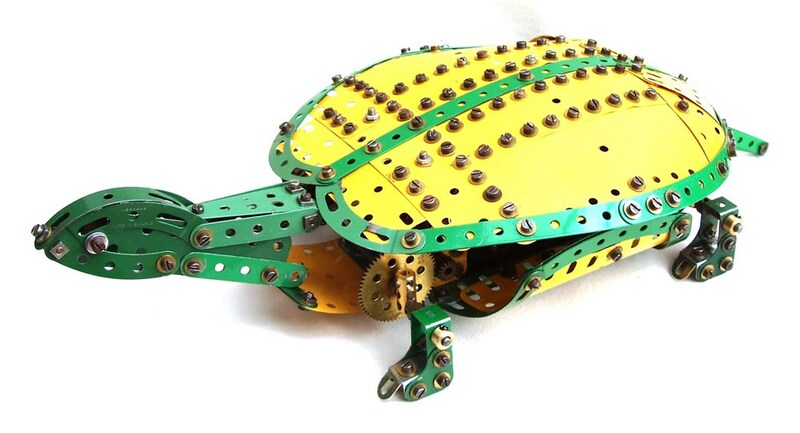 Runnymede Meccano Guild is a club for Meccano enthusiasts in South West London and Surrey which meets three times a year in Chertsey. Our members also attend many other Meccano events throughout the UK. To find out more, click on the links above — if you’d like to join just turn up at one of our events or order membership online. Buy back-issues of our magazine from our shop. A complete magazine index is now available, as a free download. Full guidelines for its use are in this section. You can read reports from our meetings in our Library, and you can see photos and videos taken at meetings in our Gallery. Nick Rodgers, along with some of our other members, has started a new project to build and photograph a selection of models designed by one of the world’s most famous Meccano model builders, Andreas Konkoly (1918–2003).